Combine TABASCO® Sauce and pimento cheese; chill 30 minutes. 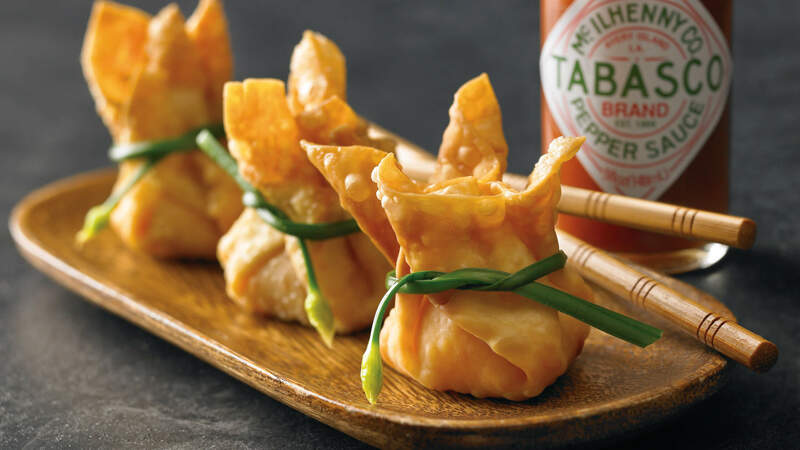 Whisk eggs for an egg wash.
Lay wonton skins out in a row, and cover each with egg wash.
Spoon 1 teaspoon TABASCO® Sauce–pimento cheese filling into the middle of each wonton skin. Fold skins around filling into beggar’s purses, then place them on a sheet pan lined with parchment paper. Place in a freezer until ready to fry.